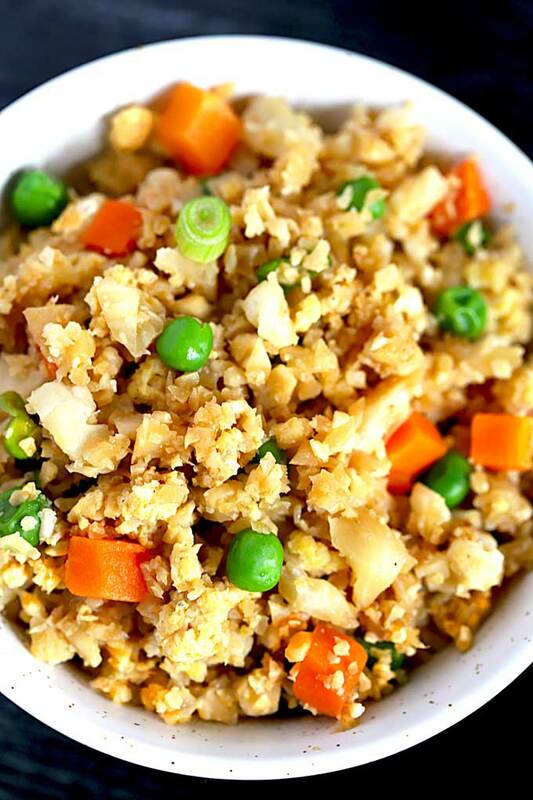 Cauliflower Fried Rice is a lighter, low-carb and healthier alternative to traditional Chinese fried rice. 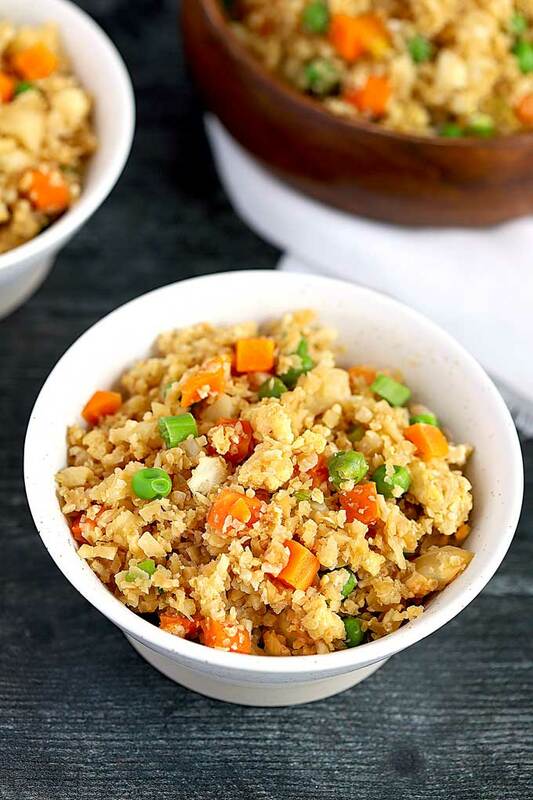 Made with cauliflower rice, vegetables, eggs and seasonings, this one pot meal is as tasty as the real take out favorite! The first time I tried cauliflower fried rice I could not believe how delicious it was and how much it tastes like restaurant fried rice. 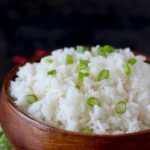 In this easy to make Asian style dish, cauliflower florets substitute white rice, making this a veggie-filled, grain-free dish full of flavor! 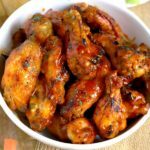 This easy to make Asian style dish can be served as a main dish or as a side dish. Serve it with this tasty Beef with Broccoli or with this lighter and Easy Orange Chicken. Making cauliflower rice at home is super easy and budget friendly. 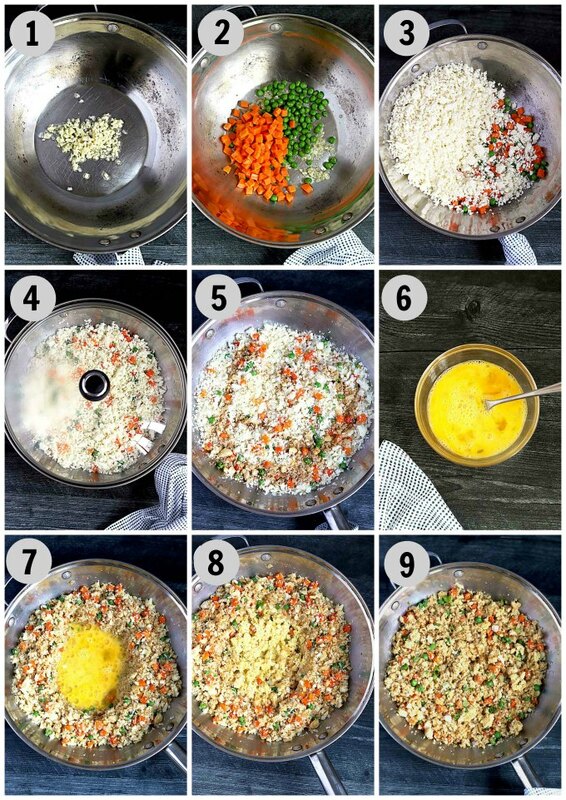 In just a few steps, you can “rice” cauliflower in no time. Rinse the cauliflower and pat dry with paper towels. 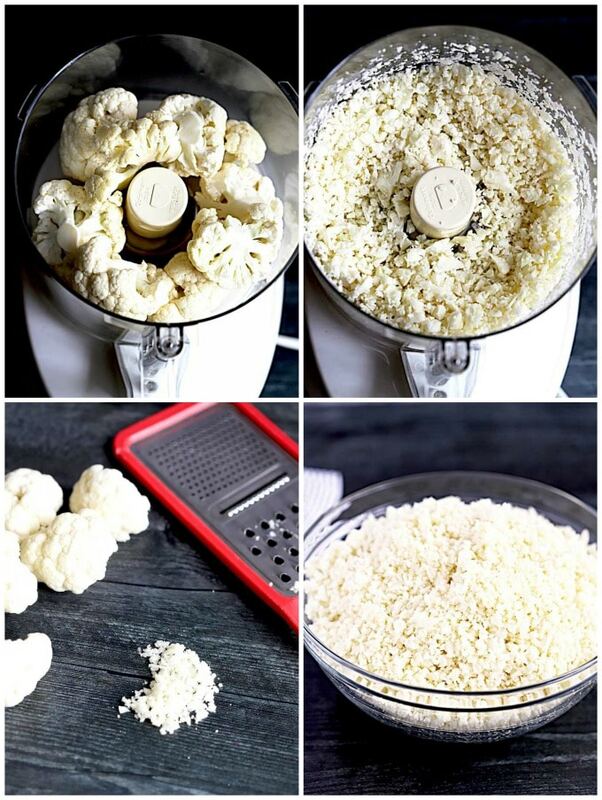 Place the cauliflower florets in a food processor and pulse until the cauliflower resembles grains of rice. You can also grate the cauliflower florets with a box grater. Use the medium size or large holes. 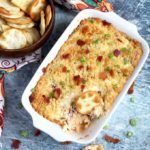 This cauliflower recipe uses very simple ingredients. 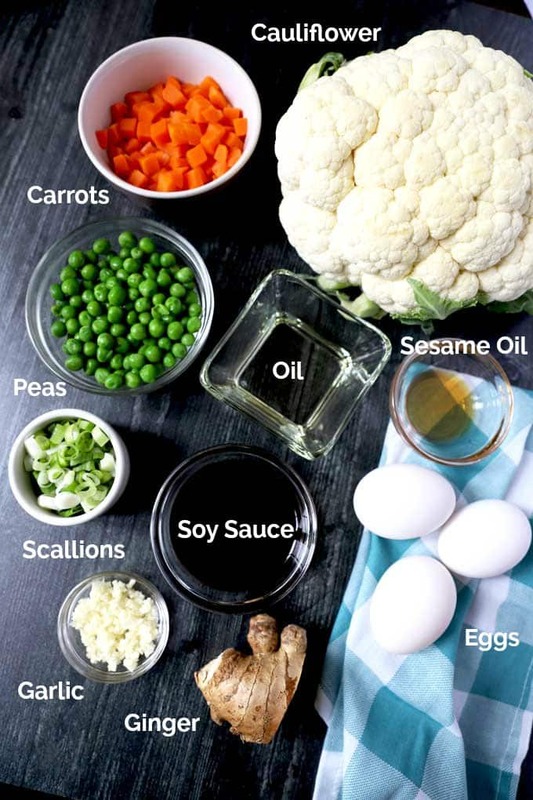 Cauliflower, Carrots, Peas, Scallions, Ginger, Garlic, Eggs, Soy Sauce (tamari or coconut aminos if you want to keep it gluten-free), roasted sesame oil, and vegetable oil (canola oil, coconut oil or avocado oil can be used). Heat some of the vegetable oil in a large wok or skillet. Add the garlic and ginger and cook until aromatic. Add the peas and carrots and saute for a couple of minutes. Stir in the cauliflower rice and mix well. Lower the heat and cover. Cook until the cauliflower is tender. Uncover and season with soy sauce and sesame oil. In a small bowl, lightly whisk the eggs. Create a well in the middle of the wok or skillet and pour the remaining oil. Add the eggs into the well. Stir the eggs to scramble. Once the eggs are cooked, stir in the scallions and mix together. Season with salt and pepper, if needed. 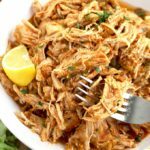 Use tamari or coconut aminos instead of soy sauce to make this a gluten-free dish. Stir in 1 to 2 cups of cooked shrimp, cooked chicken or diced tofu into the wok to add some additional protein. 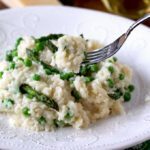 Since cauliflower only takes about 5 to 7 minutes to become tender, this healthy side dish is much quicker to make than traditional stir fry rice. Cauliflower stir fry keeps well in the refrigerator for a couple of days. It also reheats well. WANT TO TRY THIS CAULIFLOWER FRIED RECIPE? 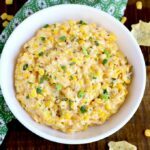 PIN IT TO YOUR DINNER OR VEGETARIAN BOARD TO MAKE IT LATER!! 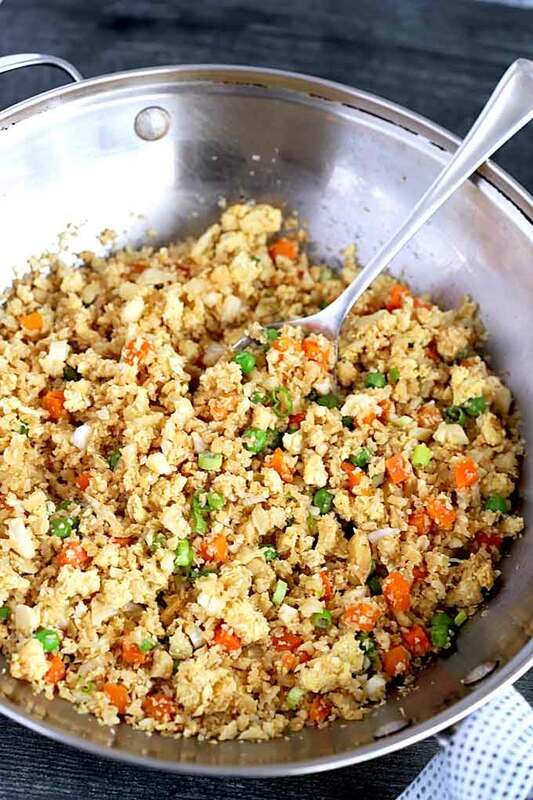 Cauliflower Fried Rice is a lighter, low-carb and healthier alternative to traditional Chinese fried rice. 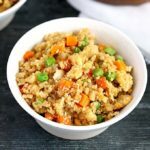 Made with cauliflower rice, vegetables, eggs and seasonings this one pot meal is as tasty as the real take out favorite! With a knife, remove the outer leaves of the cauliflower. Rinse and pat dry and cut into large florets. Working in batches, pulse the cauliflower in a food processor until the texture resembles rice. 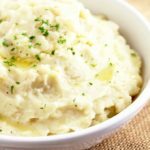 If you don't have a food processor, you can grate the cauliflower using the large holes of a box grater, or chop it with a knife. Heat a wok or large skillet over medium-high heat. Add 1 tablespoon of the vegetable oil and add the garlic and ginger. Cook, stirring constantly, for about 30 seconds or until fragrant but not browned. Add the peas and carrots and cook for about 2 minutes. Add the cauliflower rice and stir to combine. Cook stirring for about 2 minutes. Lower the heat to medium-low and cover the pan. Cook for 5 to 7 minutes or until the cauliflower is tender. Remove the lid and add the soy sauce and toasted sesame oil and stir to combine. In a small bowl, lightly whisk the eggs. Create a well in the middle of the wok or skillet and pour the remaining vegetable oil. Add the eggs into the well and stir the eggs to scramble. Once the eggs are cooked, mix to combine. Stir in the scallions and mix together. Season with salt and pepper and additional soy sauce, if needed. 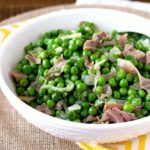 You can use 1 cup of frozen peas and carrots, thawed out. You can lightly season the eggs with salt and pepper before scrambling. This looks delicious and so light. I have cut grains so this is perfect for me. I may try this this week! 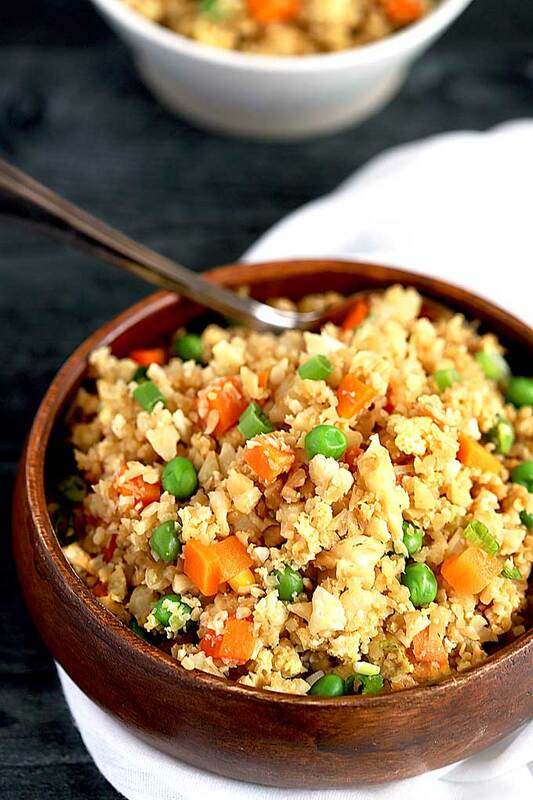 Do you think frozen cauliflower rice would work? It steams in the microwave… Or do you think if it’s used, it should be added while still frozen? I think I would thaw out the frozen cauliflower rice first. If you add it frozen, the oil will splatter like crazy all over the place. I really like the Cauliflower Fried Rice, it’s healthier and doesn’t have all the calories and fat than regular fried rice. 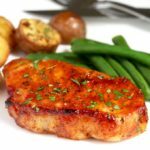 Are you planning on more Vegetarian options? I hope so! Hi Buck! Thank you. One of my kids is vegetarian so we eat a lot of vegetarian meals at home. 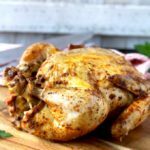 I also try to eat foods that don’t cause inflammation because of an autoimmune disease. I truly believe in moderation that is why I offer so many different recipes, some healthy, some not so much 🙂 (Moderation if you have a healthy body that doesn’t require a special diet or you have chosen a vegetarian/vegan lifestyle). 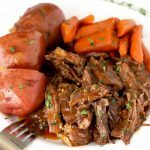 I am planning on adding more vegetarian dishes as we eat them at home so often. I hope my readers are open to it. Thanks! I really like the Cauliflower Fried Rice, it’s healthier and doesn’t have all the calories and fat than regular fried rice. 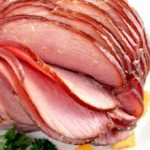 Are you planning on more Vegetarian options? My husband and kids can’t wait!